Pictou County, located in northeastern Nova Scotia, is home not only to the Museum of Industry, but to a rich history of coal mining. In fact, the beginnings of the industrial revolution in our province can be traced to the arrival here in 1827 of British technology, capital and workers to establish deep coal mines similar to what existed at home. 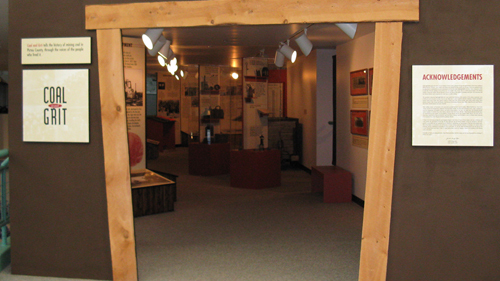 Coal and Grit is a small permanent exhibit that tells the story of mining coal in this area from those early beginnings up to and including the surface (open pit) mines in operation in 2008. Highlighted is the Westray Disaster of 1992, which killed 26 miners and is still remembered vividly by Nova Scotians. 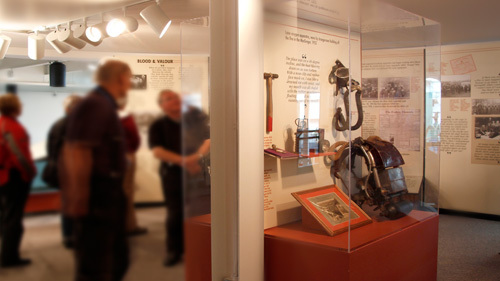 Coal and Grit depicts the history of coal mining in Pictou County, primarily through the interpretation of the former Stellarton Mining Museum collection. These artifacts and photos were donated by many people over 50 years, and we are grateful for their far-sightedness in ensuring that successive generations can know their past. The exhibit was meant to be temporary to mark the opening of the Museum of Industry in 1995. Due to its popularity and the support of the Westray Families Group, it has been refreshed and expanded to include events after 1995 associated with the Westray disaster, and to represent the recent story of surface mining. The exhibit was curated by local historian, Judith Hoegg Ryan, who drew on her own coal mining heritage and community connections to present a highly personalized account of the development of coal mining and a coal mining community. The exhibit benefits from her many years of research and oral history documentation. On this website, we offer a glimpse of the images and stories you will experience by visiting Coal and Grit. Look for this symbol through out the Coal and Grit exhibit to hear the voices of Pictou County.